This cookbook is a New Mexico classic. 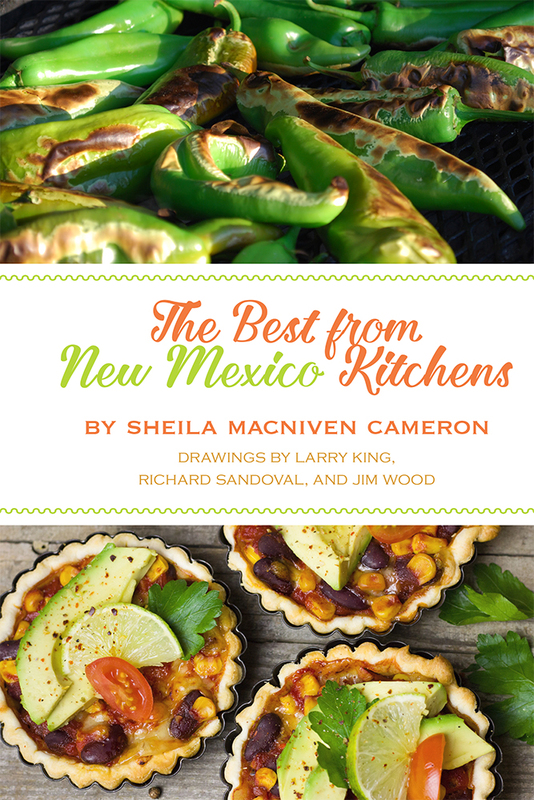 It features an assortment of recipes from the kitchens of New Mexico homes and restaurants, many of which have been featured in the pages of New Mexico Magazine. Inside you will learn how to prepare chile and how to build an horno as well as find recipes for traditional favorites including tortillas, guacamole, posole, biscochitos, sopaipillas, and sangria. Additionally, you will find dishes like fettine di manzo alla pizzaiola and moussaka alongside recipes for obscure regional specialties like Santa Clara Bread Pudding, High Country Pea Soup, Las Cruces Pecan Pralines, and Silver City Nuggets.